Here's a mix of indoor and outdoor activities in the upcoming days that will cover all your bases. 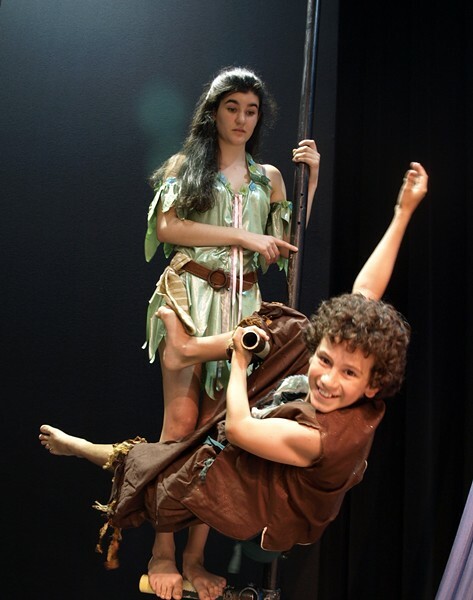 Head to Lost Nation Theater in Montpelier for Peter Pan, Jr., a musical theater adaptation of J.M. Barrie's classic tale, with a cast of aspiring actors ages 12 to 18. Performances take place Friday through Sunday. Older kids and their parents might get a kick out of Laugh 'Til You Die at Spruce Peak Performing Arts Center in Stowe. Physical comedian Tom Murphy puts on a one-man autobiographical show about "life, love, falling down and getting back up again." Also in Stowe, the Celebrate Vermont Festival, Friday through Sunday, champions the Green Mountain State with demos, tastings, live music and storytellers. A Kids Zone offers young festival goers the chance to make crafts, visit an instrument petting zoo and participate in a poetry slam. At Heritage Chicken Day at Billings Farm & Museum in Woodstock, visitors meet newly hatched chicks, learn about unique breeds and engage in themed stories, crafts and games. Finally, who can pass up a slab of pie? Rokeby Museum in Ferrisburgh holds its annual Pie & Ice Cream Social fundraiser on Sunday afternoon. Choose from peach, apple, berry and more — topped with a sweet scoop from Wilcox Dairy.